I don't know what this is, but it isn't alive anymore. Could it be the result of some type of leaf mining fly? I'm not sure. If you know, please let us know! 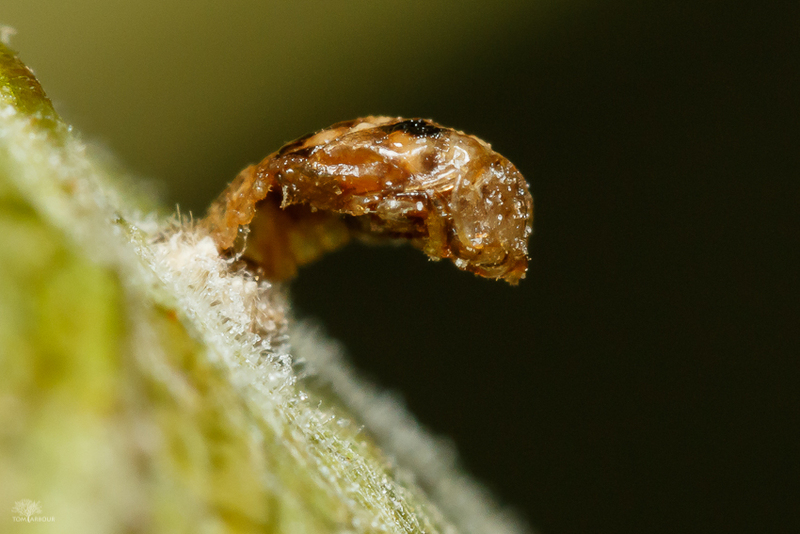 As you can see, this pupae is tiny, barely a millimeter long, taken with very high magnification. Just look at the hairs on the undersides of those leaves!